CHICAGO (WLS) -- Melanoma Monday aims to increase awareness and prevention of the most dangerous form of skin cancer. 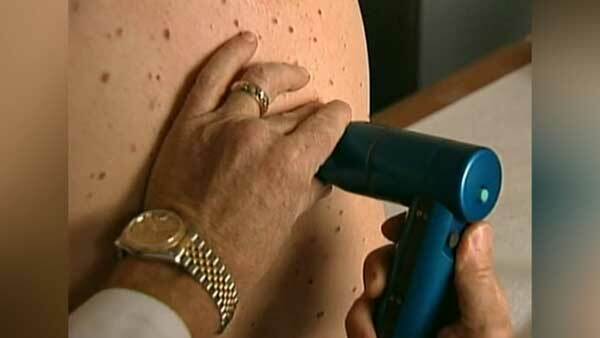 People with more than 100 moles are at greater risk for melanoma. The first signs can appear in one or more atypical moles. People should know their skin well and watch for changes. A is for asymmetrical moles. If someone draws a line through a mole and the two halves do not match, it's a warning sign for melanoma. B is for the borders. They are uneven on cancerous moles with scalloped or notched edges. C is for color. Dangerous moles can have various shades of brown, tan or black. Some melanoma can also become red, white or blue. Find out more at www.skincancer.org. Melanoma Monday aims to increase awareness and prevention of the most dangerous form of skin cancer.